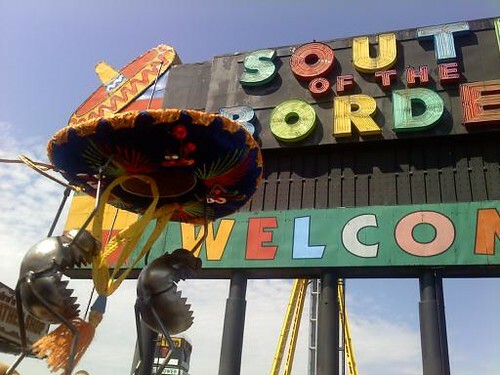 Laughs & Rants from My Inner Child: All Hail South of the Border! All Hail South of the Border!, originally uploaded by eblackwell. The scrap aliens need their own blog. Desperately. If ICANHAZCHEESBURGER can make it big...think of a site with these guys stealing things would do! You know, someone else saw this and told me I should give them a blog. I even started looking at designs. I have a bunch of photos that I haven't published yet from Disney and an animal shelter event. Plus, they're going to a wedding this weekend!